Hopefully some of the IT guys at the office advised they already had the official image downloaded. Saved me those many hours of waiting. Started the real install … Got to the point “Installation in progress… Calculating remaining time…” (or something like this).. It stayed there for 2 or 3 hours. So I decided to go leave it until the next day to give it time. Some forums I checked mentioned it would take long. Some gave up. The day after I got to the office just to check the outcome. It was at the same point. Untouched. Twelve hours (or more) later so I decided to reboot and try something else. Holding Cmd-R, while rebooting got to the repair screen. Without any Time Machine backup, I tried the Disk First Aid at first. It succeeded. Plugged-in the pendrive with the official image and dig it using the terminal (only tool available in the installer volume) to find the installer app. Fired it! And this time Success! 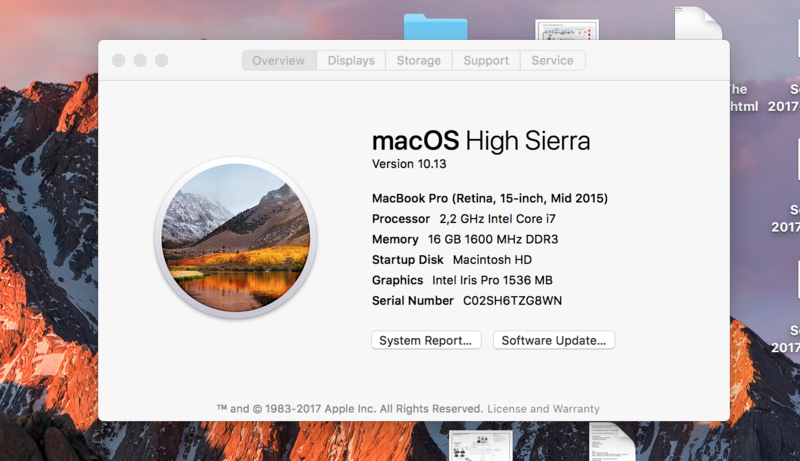 High Sierra was Installed without a glitch! The problem seems to be with the Encrypted Volumes. The new file system and optimized encryption mechanism. I cannot explain how, but the First Aid seems to repair the issue. Now there is another Macbook Pro 13 to upgrade but this one is not encrypted.